Smarden is a small village near Tenterden, Kent. It has been called the prettiest village in Kent, a testament to the peaceful countryside setting and the large number of weatherboarded and half-timbered cottages. 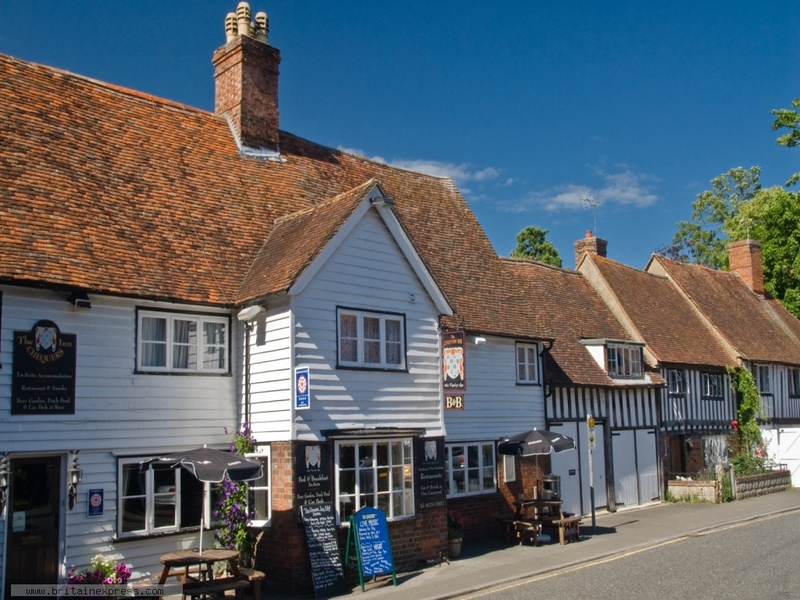 This is The Chequers Inn, located near the old medieval church, which is known as the Barn of Kent. The Chequers is an early medieval coaching inn, that is home to a resident ghost! Unfortunately (or fortunately, depending on your point of view) the ghost didn't deign to appear when I took this photo.